Nine months after the Choosing Wisely STARS Summit last December, Pritzker School of Medicine students Rahul Dadwani and Sarah Follman have made significant inroads in educating fellow aspiring physicians about practicing high-value health care. The pair have taken a multi-faceted approach—they created a new elective offered this past spring entitled “Q.I. 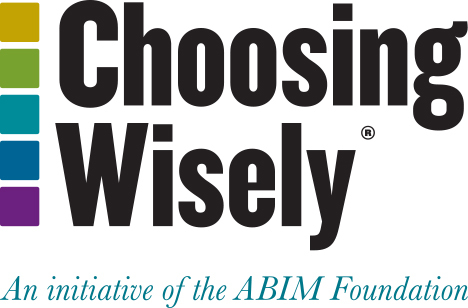 on the Fly” for first-year students, hosted a school-wide Choosing Wisely workshop and patient-focused Community Grand Rounds, and produced a “badge card” to help students stay mindful of Choosing Wisely recommendations. “We wanted to make sure we were enacting tangible change at our school and in our community. So most of the initiatives that we have led include easy-to-use and practical resources for medical students and community members, such as our badge card, to understand how to avoid the overuse of unnecessary tests and procedures,” said Dadwani, M.D. Candidate, Class of 2021. The badge cards, which can be attached to student ID badges, have Choosing Wisely-inspired “5 Questions to Consider” on one side and examples of clinical recommendations on the other. 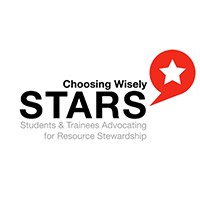 The STARS program (Students and Trainees Advocating for Resource Stewardship) provides students with the opportunity to lead change within their medical schools by incorporating Choosing Wisely into their curriculum and training. The program, originally developed by Choosing Wisely Canada, kicked off in the U.S. in December 2017 at the Dell Medical School at the University of Texas at Austin with 50 first-year students–two from each of 25 U.S. medical schools. A six-month progress report showed that 10 out of the 25 participating medical schools have implemented curriculum changes and an additional 11 schools plan to implement curriculum changes in the near future. The University of Utah, University of South Carolina, Greenville and the University of Chicago are among the schools where curricular changes have already occurred. At Eastern Virginia Medical School, STARS students are developing a longitudinal curriculum proposal for the incorporation of high-value care into their Care Forward Curriculum. They intend to challenge the status quo of overuse in health care in a “bottom-up,” student-inspired manner by empowering students to ask important questions about high-value care and Choosing Wisely recommendations. The proposed curriculum will be presented to the pre-clerkship curriculum committee this September. The STARS students at the University of Chicago, University of Utah and Eastern Virginia Medical School all noted that involving fellow classmates and allowing them to take active roles in the campaign has been very beneficial to their success. When they educated other classmates about Choosing Wisely, they found that many were excited and eager to take on an active role, which has helped move things forward and create a long-lasting effect. At Eastern Virginia, STARS students Catherine Smith and Kevin Parsons have been working to develop a longitudinal curriculum proposal for the incorporation of high-value care using Choosing Wisely guidelines as a learning tool in its Care Forward curriculum. Curriculum changes will address “how, when, and why” to make certain clinical decisions by incorporating Choosing Wisely into case-based clinical vignettes, team-based discussions, reflections on clinical care, and standardized patient encounters. Ultimately, the goal is to establish a curriculum where students learn principles of high-value care and Choosing Wisely in a variety of meaningful ways over the course of the four-year curriculum.